There’s a special place in my heart for beer with gorgeous brown dogs affixed to the bottle. 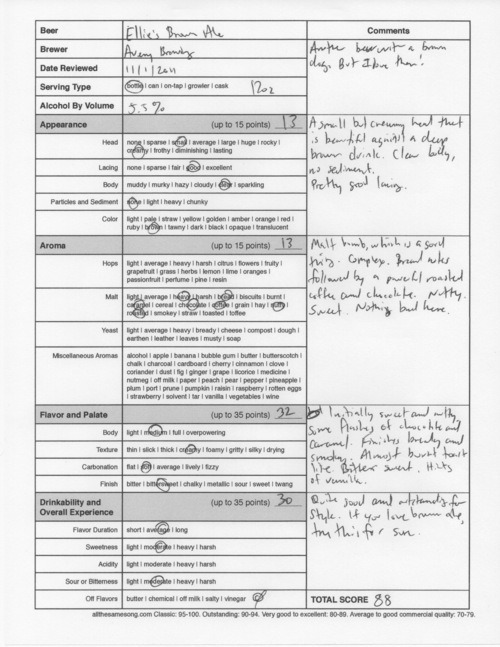 The last one I reviewed was Smuttynose’s Old Brown Dog Ale, which scored 89 points. This Brown Ale comes to us from Avery Brewing Company, based in Boulder, Colorado. 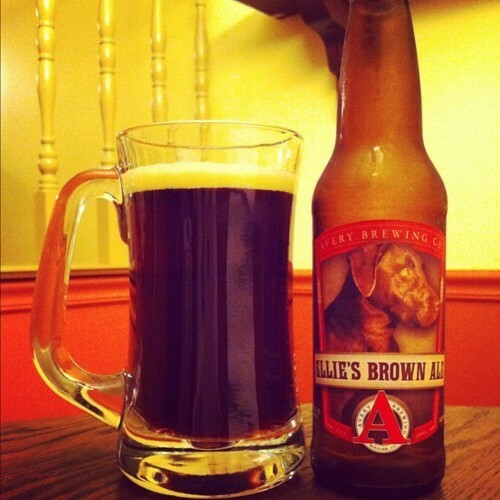 Started in 1993 by homebrewer Adam Avery, Ellie’s Brown Ale was one of the first beers perfected, and quickly went on to become the top selling brew for the company (it has since been replaced by their IPA). Ellie was Mr. Avery’s chocolate lab, who passed away in 2002. Sad, indeed, but this dog has its own beer, so that’s a wonderful way to remember a faithful companion. Brewed to match the character of the dog, this brown ale is made to be sweet but somewhat nutty, very drinkable and excellent when paired with spicy foods. Another cool thing about this beer is that it comes in bottles and cans, so pick your poison. 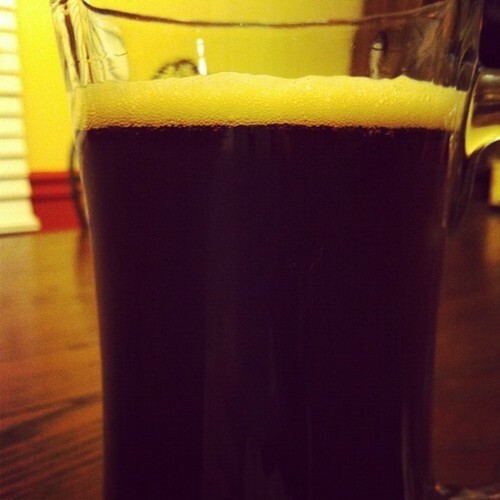 Pouring produced a small head that was creamy and contrasted nicely against the deep brown color of the liquid. The body was clear and free of sediment, leaving behind a good amount of lacing in its wake. The aromatics were dominantly malty, forward first with bready notes and followed by a powerful combination of roasted coffee and milk chocolate. The sweetness level was extra high, and there was a bit of a nut character as well. The complexity of the malts was fantastic and there was nothing bad to be found here. Knocking it back, the first greeting is of a really sweet milk chocolate and caramel. I also tasted a bit of nuttiness before a 180 degree transition into a finish that was almost like burnt toast. Smokey and bittersweet, this finish lingers for a bit and leaves the palate refreshed, making this one very drinkable. The transition between the sweet and pleasant chocolatey drink and bittersweet smokey bite was almost shocking but very well played. It’s almost like drinking two completely different beers, and perhaps that’s what Avery intended when brewing this to match the personality of Ellie the dog. For the Brown Ale style, it’s certainly unique and worth a try. A crafty display of the sweet and loving clingy dog versus the dog that will bite your ear off (but not mean it). Avery Ellie’s Brown Ale, 88 points. Price: $1.79 US for one twelve ounce bottle.